This week’s TPoI features the first reactions to Nintendo Switch, big shakeups over at Disney and Maker, Nvidia’s transformation into a gaming platform, and the response to the death of Twitch streamer Brian Vigneault. This week, intial reactions and reviews started to surface from lucky journalists that were able to review Switch, prior to its official launch next week. Overall press reaction has been positive despite these early versions of Switch lacking the crucial “Day One” update that will go live on launch. The update will allow network connectivity, social media integration, and some minor bug fixes. Business Insider reports that the Nintendo Switch is a fast and efficient system that smoothly combines portable and console gaming with the caveat that some games, when played on a TV, have “issues with consistent framerate.” Similarly, Polygon also reports that the fit and feel of the Switch as a finished product is fantastic, but there are some issues with the Joy-Con controllers losing connectivity while the handheld is docked. The trouble surrounding the Joy-Con controller doesn’t end there as Ars Technica also writes that the controllers are, “a little hard to get a solid grasp on.” With the launch less than a week away, the Switch is shaping up to be a great product for those who like to game at home and on the go. LA Times reported that the Walt Disney Company has laid off about 80 employees in its digital media unit, which includes Maker Studios, the digital media company representing YouTube successes such as “Epic Rap Battles of History” and PewDiePie. 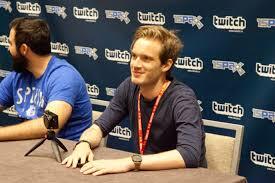 Earlier this month, Maker severed ties with PewDiePie in response to a story from The Wall Street Journal that alleged anti-Semitic references the creator was including in videos. The PewDiePie scandal, and the recent cutbacks at Maker, have reportedly caused the company to further cull their roster of YouTube creators. Polygon reported that Maker will now only sponsor 300 content creators; the company currently supports more than 60,000. According to Develop, Maker will now look for two qualities in affiliated creators – 1) that the creators have their own established audience and large following, and 2) that the creator material is family friendly and in alignment with Disney’s corporate culture. In what was both a tragic and eye-opening week for Twitch users, Brian “PoShYbRiD” Vigneault passed away last Sunday after attempting a 24 hour charity stream for the Make-A-Wish foundation. Vigneault has done multiple charity streams in the past, raising over $10,000 to date for various organizations by playing, World of Tanks. According to IGN, World of Tanks issued a statement of condolence and to pay their respects to Vigneault’s family. Polygon has reached out to Twitch for comment, but as of yet the company has not made an official statement. In addition, Kotaku reports that Vigneault’s death should help raise awareness towards the unseen pressure on streamers to grow their fan base at the cost of their own health. The outlet also called for Twitch to “choose to take a firmer stance against unhealthy streaming practices.” According to IGN and Kotaku, Twitch has yet to make official comment. His fans have set up a GoFundMe page and turned his Twitch channel into a memorial. NVIDIA has set the gaming world astir with hints at a potential announcement of the long awaited GTX 1080 Ti at GDC next week in San Francisco. The company is coming out with all guns blazing, choosing to unveil the previously delayed graphics card on the same day that competitor AMD streams its Capsaicin event to announce its next-generation Vega graphics cards. Although details regarding the announcement and the card itself are still uncertain, Digital Trends implies that both NVIDIA and AMD are racing to make virtual reality the mainstream form of gaming. In addition, according to Forbes, NVIDIA is aggressively competing with mobile, console, and handheld gaming platforms through its GeForce line, which is responsible for the company’s high level of growth and success. Look for the drama between NVIDIA and AMD to unfold in a few days at GDC.